Can I get a personal loan without salary slips? Some lenders who provide a personal loan with no income proof or with no salary slips are HDFC Bank and Fullerton India. A personal loan is lending of money by one or more individuals, organisations or entities to other entities, organisations or individuals without usually needing any security or collateral. There is some flexibility by the lender to use these funds. 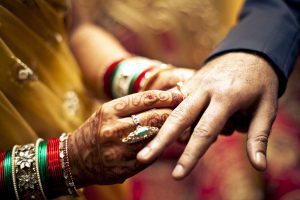 It is a type of unsecured loan that helps to meet current financial needs such as travelling or wedding costs. Personal loans are generally short-term loans with a tenure ranging from 12 months to 60 months. These loans have higher risk for the lender; therefore have higher interest rates, generally. However, there are several entities also offering attractive interest rates and flexible payment options. Usually they need 3 to 6 months of bank statements showing salary credits and latest salary slips. However, you can get a personal loan without salary slips. But, you need to submit some documents as proofs of steady income. Other documents that are accepted in place of this are Form 16, salary certificate or bank account statements. Some lenders also provide a personal loan without pay slips if you show a collateral or security. Getting such a loan also depends on every individual lender and the bank’s policies. Some may ask for a clean credit record, while some may ask for a Form 16 of last 2 to 3 years or an employer certificate and a talk with your employer, and so on. Identity proof that can comprise of Aadhaar Card, Passport, Driving License, Voter ID or PAN card. Resident proof that can be through a Aadhaar Card, Passport, Driving License, Voter ID or Electricity/ Mobile bill/ bank statement/ Telephone/ (not older than 3 months). Age proof: Aadhaar Card, Passport, Driving License, Voter ID or PAN card. Age also forms an important determining factor to avail a personal loan. Usually, the age limit is between 22 to 62 years. Income: The income in most of these loans must be above the minimum wage limit. For some instant loans, there is a minimum income limit for salaried and self-employed people. This bracket varies across various financial institutions. Employment: Stability in your employment forms an important factor for getting a personal loan. For a salaried individual an employment record of 2 years and for a self-employed professional, a minimum of 5 years can help in getting instant personal loans. Credit history: A good credit rating always comes handy for getting any kind of loan. A credit report lists down all your financial record making it easier for the lender to verify your credentials. Employer: Having a link with an organisation with a good reputed and high turnover makes it easier to get a personal loan. A good employer with whom the loan applier is working helps in gauging the trust factor of the candidate. Pay slips forms an important part when applying for personal loans, for change of job, etc. Some employees get salary without pay slips because the employers may want to evade labour law levies such as provident fund, medical insurance, gratuity, pension fund, and so on. Employers might also be not providing these to restrict the employees’ change of jobs or if paying salary out of black money. However, things are changing and a more formal structure if coming to take place when employing individuals. Banks: There are several commercial as well as non-commercial banks offering the best rates in personal loans. And, most of them have various policies which allow individuals to produce bank statements or other income related documents in place of pay slips. Some top banks include Citibank, Yes Bank, Standard Chartered Bank, IndusInd Bank, and so on. NBFCs: Banks generally have stringent rules and practices. Though they are beginning to be more flexible, NBFCs come to immediate rescue having a little more flexibility in various aspects. This may ask for a higher interest rate though. Individual Entities: There are several Fintech companies as well as well-reputed individual organisations that are doing very well in providing almost all financial services similar to banks. Fullerton India is a good example under this category in providing personal loans without a pay slip. Individuals: This way of getting a loan might be more informal but this also ensures greater flexibility. Individuals include some formal money lenders or can be from your own networks that are ready to provide personal loans without pay slips. 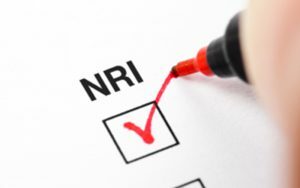 What are the important factors to check before applying for a personal loan? Loan applicants must do a thorough research as per their requirement about which kind of loan they wish to apply for. 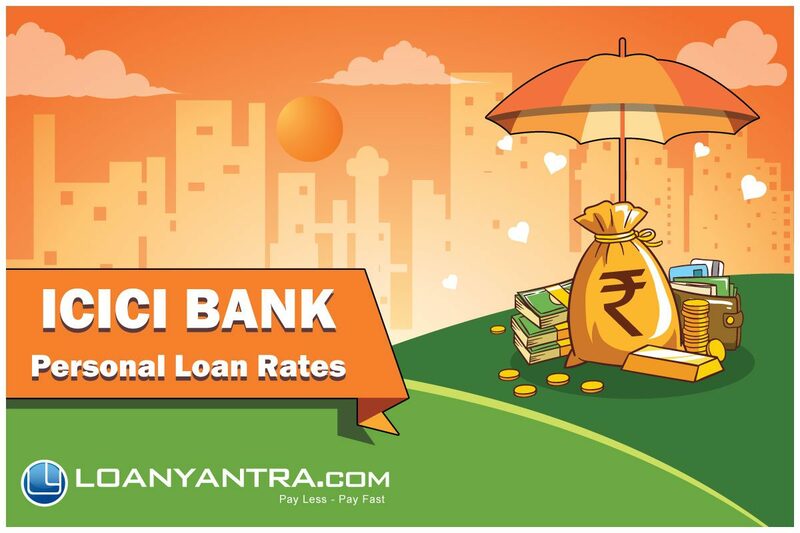 Rate of Interest- This goes a long way and you need to first compare the interest rates by several lenders before applying for a personal loan. Monthly EMI- After being sure of what kind of rate you are willing to pay, check the monthly EMIs and compare the monthly EMIs for the same loan amount. Loan Tenure-Compare this before selecting a personal loan. Sometimes, a low interest rate might be spread across a long tenure that makes the total interest even more than many others. Time Taken for Approval- See the ways of processing of the bank. It usually takes two to three working days to get a loan approval. If it is taking long and is hectic, it’s time to switch lender. Prepayment Charges- Some lenders also charge a lot of prepayment fees. Check these to not run into huge credit losses. Disbursal Time- Similarly, do a check of the disbursal time along with the processing time and compare them with other lenders. Processing Fee- This might seem not-so-significant at the start but, remember to check this. Many lenders try to adjust lower interest rates with a high processing fee. This is generally within 1.5 to 2%. HDFC Bank: It provides personal loan without income proof if the customer is self-employed, has an operational current account with HDFC and has a business stability of 3-4 years of business stability. Fullerton India: Similarly, Fullerton India needs self-employed individuals to have a current account with it and show 3 years of ITR to get the personal loan. It provides loans to borrowers within the age group of 21 and 58 years with a loan amount of minimum Rs. 1 Lakh to Rs. 20 Lakh and loan tenure as 12 to 48 months. It generally charges a rate of interest in the range of 17.25% to 33.00%. The lowest EMI of Rs. 2,898 per lakh is available and the processing fees are up to 2.00%. Pre-closure of Fullerton India personal loan is allowed with 3 – 7% and is nil after 36 months and part payment charges are not allowed here. Other charges include late EMI bounce charges, EMI payment charges and loan cancellation charges. Author keerthiPosted on November 27, 2018 Categories HDFC Personal loan, personal loan, personal loan without payslipTags personal loan without payslipLeave a comment on Can I get a personal loan without salary slips? Personal loan for Infosys employees ICICI Bank comes with personalised features and discounted interest rate. With extended offers of personal loan, Infosys employees can enjoy special features like quick and simple personal loan process, fixed rate of interest where interest is charged in monthly reducing basis on personal loans. No security or collateral required for Infosys employees. Attractive personal loan interest rate for Infosys employees. Maximum loan available: Rs 15 lacs. Infosys personal loan is specially designed for the Infosys employees and Infosys bpo employees in ICICI bank. Zero Balance salary account can be maintained by Infosys employees with ICICI bank. If you are an Infosys employee, get different deals on different loan products. 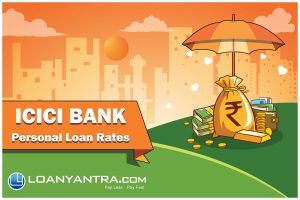 ICICI personal loan offer for Infosys employee includes not only discounted interest rates but also rewards for paying loans through EMIs. Your minimum average salary per month should be minimum Rs. 15,000 in ICICI salary account for ICICI personal loan as an Infosys employee. Before 2013, Infosys had special offers and schemes for its employees on different loans. Earlier it was tough to get loans from different lenders. Now Infosys had stopped schemes on loans for its employees. But personal loan and car loan schemes are still existing for Infosys employees. Get the work done even smoother without even to wait as Loanyantra can assist you in every step by the loan experts. As an Infosys employee either in consultation or BPO, you can avail varied offers. So, get to know everything. Working with one of the leading IT firms always comes with an added advantage. Well, here I am talking about Infosys, a company which is one of the most renowned IT firms. For it, the employees are its biggest asset, and the company has left no stone unturned to keep its employees happy and maintain a healthy work culture. Did you know that it is the third largest IT service company as per 2016 revenue report? Infosys has spread its wings in various areas like business consulting, pharma, aerospace , defence services and is now working in the area of Blockchain. Apart from offering innovative services and business solutions, Infosys makes sure that its employees are satisfied and have a proper work-life balance. 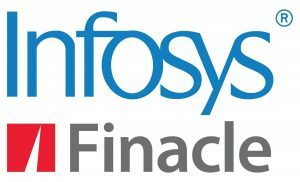 Infosys has been rendering innovative IT solutions in various domains and Banking is one such sector where we can find a popular software named Finacle being used. This software was developed by Infosys and is currently used in around 85 nations across the globe. This software aims at improving the products and making the banking operations seamless. With the help of this software, the banks can launch their products and services quickly. It becomes easy for the customer to target their customers using this software. The turnaround time for banks gets drastically reduced with the help of this software, Finacle lowers the product deployment time, with the help of this software, the banks can deploy their products in weeks instead of months. It also helps the banks to break their technology silos and cut down on the duplication of applications, thus reducing their cost of operations by making the entire process seamless. One of the biggest benefits employees have at Infosys is that they enjoy work-life balance which is not only reflected in their work culture but at the same time the company also provides them special leverages which add to the employee benefits. One such aspect is a personal loan. Lower personal loan rate at 12.99% which is around 2% lesser than the normal market rate. Special companies offer special leverages to its employees, Infosys offers a seamless process of loan sanction and approval. There is minimal paperwork and quick approval , but there are some basic criteria that they need to fulfil to get a loan. Processing fees- This fees are usually charged by the banks to press your application. It may be a bit lower for the IT employees, but they are also subjected to pay processing fees. These fees depend on the loan amount. Payment Delay Charges: This is the penalty which is changed from the people in case they are not able to pay the loan amount on time. Well, whether you are working in Infosys, or any other company, banking and financial institutions have certain set parameters which one must fulfil to avail the loan. This involves complete documentation, falling in the eligibility criteria specified by the banks and finally the credit score. A good credit score for all the employees is a must for anyone to apply for a personal loan and gets it approved. Credit score showcases your credit health and your financial position to repay the loan on time. Thus, it’s always advisable that you must check the credit score before applying for personal or any other type of loan. For all this you have Loanyantra. We are a company that matches your credit and demographic profile to the lender’s criteria such that your application gets shortlisted in no time. We also do the pre-screening of the application as per the specifications of the bank. So, if you are looking for a personal loan and are worried about the entire process, connect with Loanyantra. We will offer you the best advice and solutions. Our range of services covers all aspects of the loan process right from the application, finding the banks providing the lowest interest rate. We also help you with the preparation of entire documents that would be required at the time of loan application. Connect with us today for more information.